A fun filled afternoon with shots, cocktails, and mystery tour. A bus will pick you up outside of your Accommodation and Chauffeur you around the winding roads of The Cooley Peninsula. This is a brilliant activity to take you out of the Village of Carlingford for a couple of hours and allow you to experience the magnificent Irish Countryside that surrounds it. There is three pub stops along your journey. You will spend approximately 45 Minutes in each pub where each participant will receive a Mystery Cocktail and Shot. 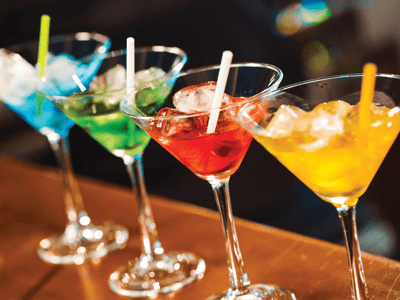 Although we keep the location of the 3 pubs a mystery to the larger group, they include some award-winning venues and widely renowned establishments. The tour lasts approximately 3 Hours in total and is a great way to kick off the day/evenings activities. 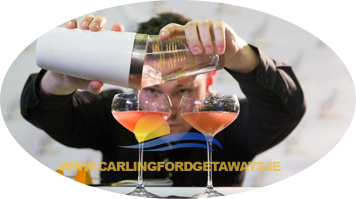 You will receive a cocktail & shot in each of 3 venues and the event will last approx. 3 hours. This activity begins in Carlingford. The rest is all a mystery.